Advanced directives are legally binding documents that outline how you want to be cared for and who should make choices about your care should a medical emergency arise and you cannot make health care choices for yourself. 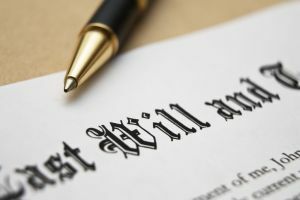 A Living Will and a Medical Power of Attorney are two forms of advanced directives. When you are pregnant you should consider having both. These days, having a baby is safe, however in case of complications it's better to have both a living will and a power of attorney. Some women may feel comfortable establishing advance directives and others prefer not to think about the what ifs. Parents can also outline advanced directives for the newborn in the case neither parent is available to make a definitive medical decision.